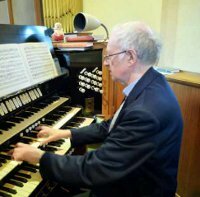 I undertake translation from French, German, Portuguese and Spanish and have regularly accepted commissions from academics and journals, including Gerhard Doderer (Lisbon), Robin Langley (Royal College of Organists’ Library), Clavichord International and British Clavichord Society. In addition to various recent texts in Spanish, Portuguese and German on aspects of keyboard music and instruments, I have made a new translation from the Spanish of the 16th century treatises on keyboard performance practice, including Santa Maria, Venegas de Henestrosa and Hernandez de Cabezón, and from the Portuguese of Manuel Rodrigues Coelho’s Flores de Musica. Although primarily known as a translator of texts related to music matters, I have also translated several articles on urban transport, particularly light rail and tramway systems, and am also happy to translate texts of a general nature from French, German, Spanish and Portuguese. If you have a text that you would like translated, please do not hesitate to contact me for a highly competitive quote. I am also available to give lessons and advice, particularly on grammar and literary material, to examination candidates at GCSE and A level.